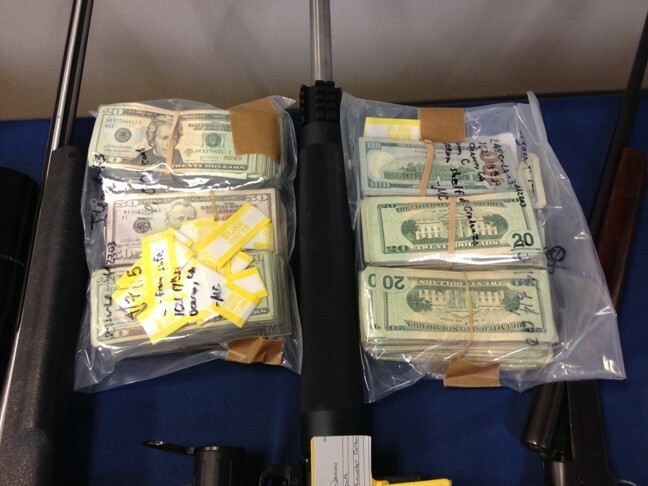 A multi-agency investigation launched in 2013 came to a dramatic conclusion on April 7 of this year, as law enforcement officers raided eight homes in the Nipomo area before dawn and arrested 12 San Luis Obispo County residents for alleged drug-trafficking activity. 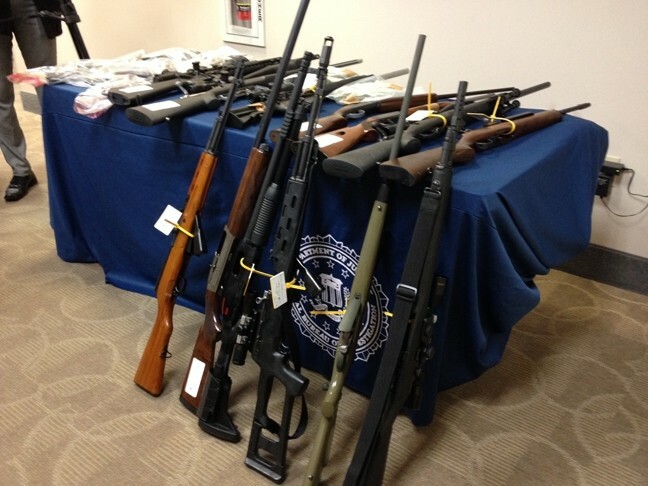 LAWYERS, GUNS, AND MONEY : An early morning raid on eight residences in the Nipomo area netted more than 60 weapons, about $155,000 in cash, and 12 arrests for alleged drug trafficking activity. The effort—spearheaded by the FBI, the SLO County Sheriff’s Office, and the California Highway Patrol (and assisted by other local law enforcement)—was codenamed “Operation: All In The Family” because the alleged drug ring centered on one South County family, according to FBI spokesperson Laura Eimiller. 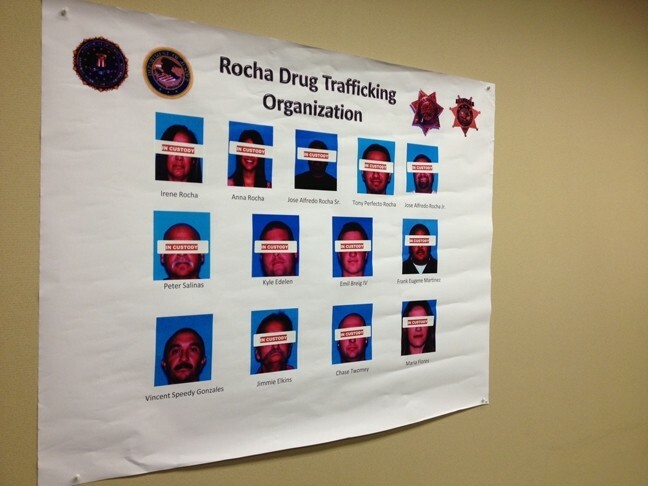 In a press release announcing the arrests, the FBI alleged that members of the Rocha drug-trafficking organization conspired to “distribute high purity methamphetamine and other narcotics”—including cocaine and heroin—in both SLO and Santa Barbara counties. A federal grand jury indictment dated April 3 details 74 alleged “overt acts” that occurred in 2013 and 2014, including many alleged drug transactions, drug negotiations using coded language, and “controlled buys” between defendants and two confidential informants. The 12 individuals arrested included five Rochas—Jose Alfredo Rocha Sr., 52; Irene Rocha, 49; Jose Alfredo Rocha Jr., 24; Tony Perfecto Rocha, 23; and Anna Rosa Rocha, 28—all Nipomo residents. Also arrested were Maria Ynez Flores, 19; Jim Elkins, 59; Emil Brieg IV, 19; Kyle Joseph Edelen, 31; Frank Eugene Martinez, 26; Peter Bernard Salinas, 55; and Chase Ross Twomey, 26. Those seven defendants all reside in Nipomo, Oceano, or Grover Beach. Authorities were still seeking one defendant named in the indictment—Victor Speedy Gonzales, 36, of Nipomo—as of press time. The defendants in “Operation: All In The Family” are set to be tried in U.S. District Court in Los Angeles.